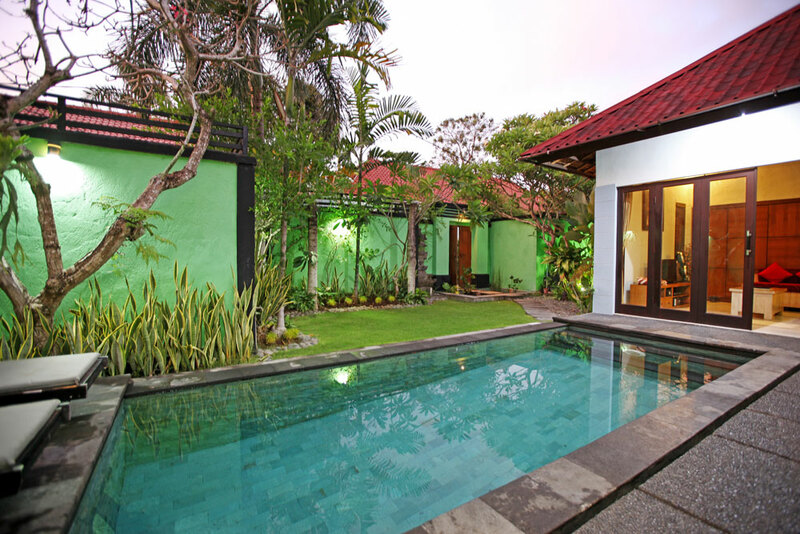 Villa Abimanyu 1 comprises a single-storey grass-thatched roofed pavilions linked by black-washed stone pathways, 6 x 3 meters swimming pool surrounded by private garden and pool deck. 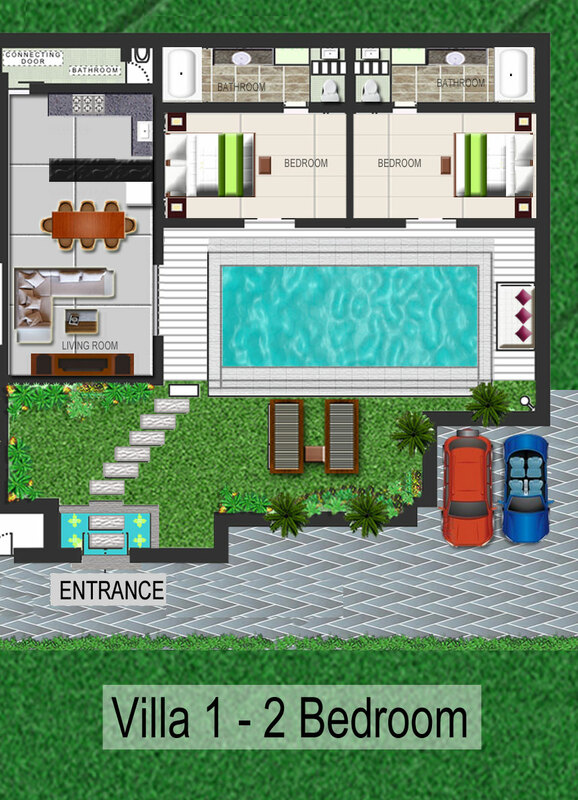 Closest to the entrance is the open-sided pavilion with a folded-door to the living room, dining and kitchen area behind. 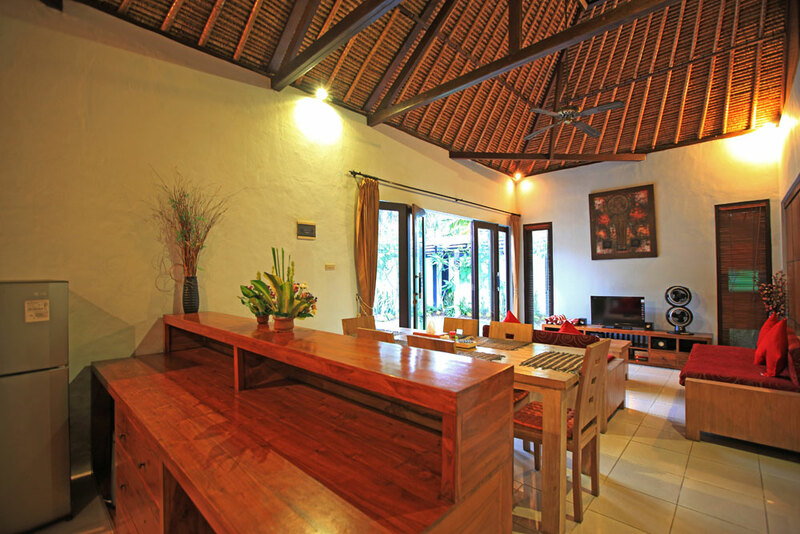 This pavilion is having an exposed ceiling featured with an overhead fan. 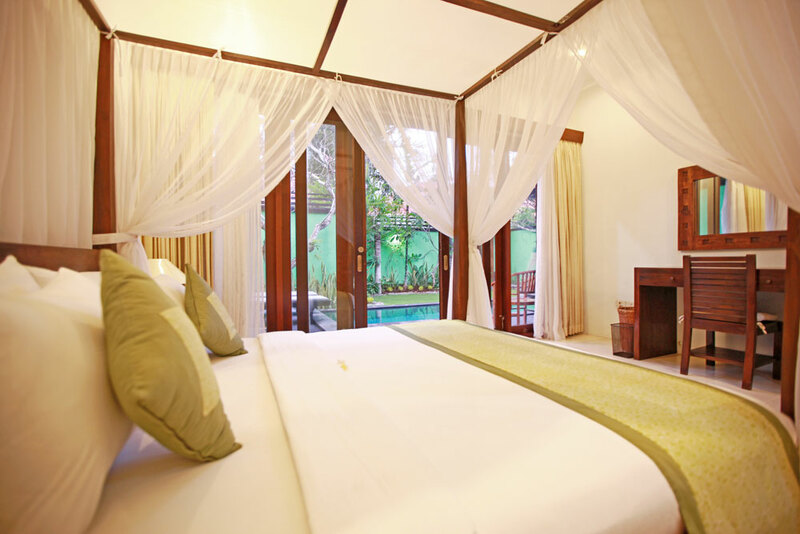 To one side is the pavilion housing the 1st and 2nd guest bedrooms overlooking the pool and garden. 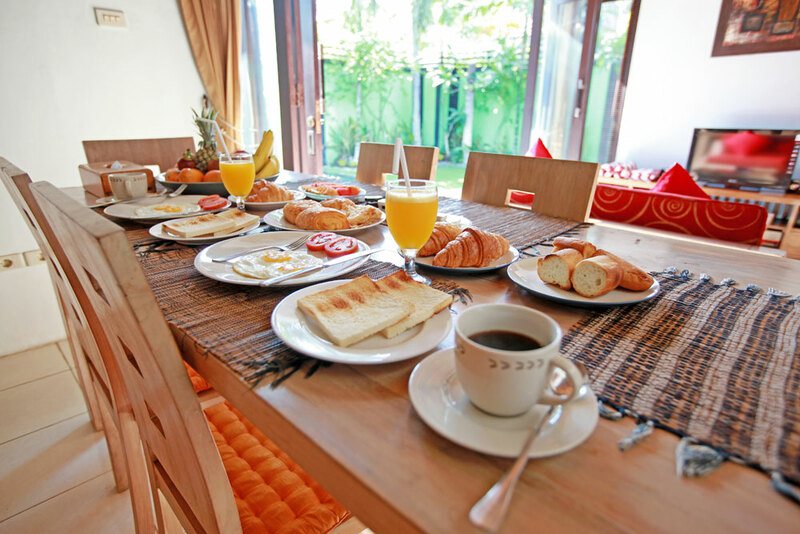 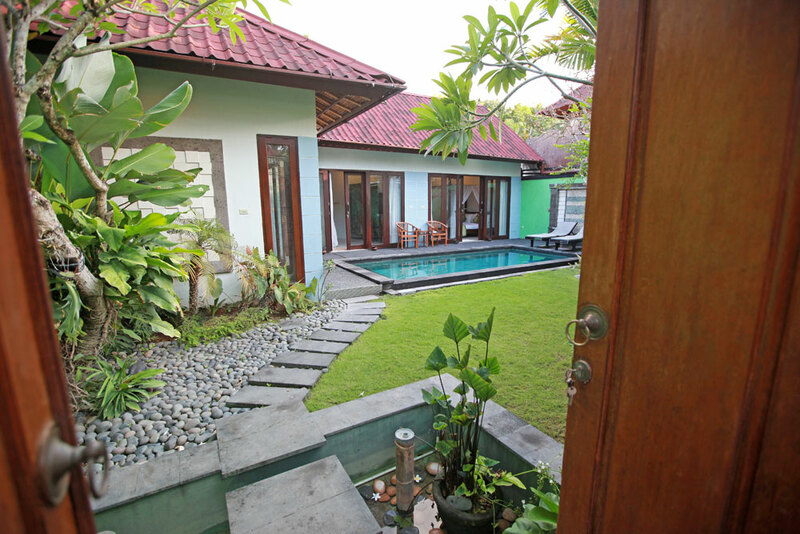 This villa have a connecting lockable back-door access to Villa Abimanyu II and both can be rented to give a 5 bedroom villa for families or groups of friends. 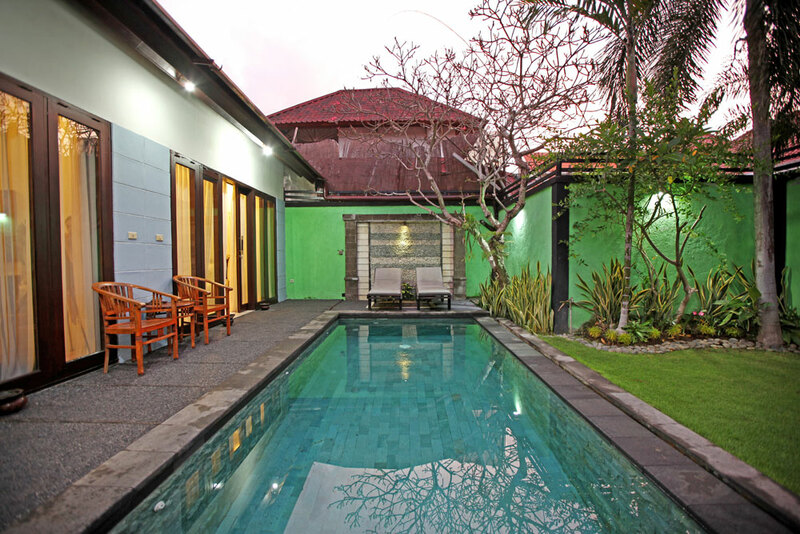 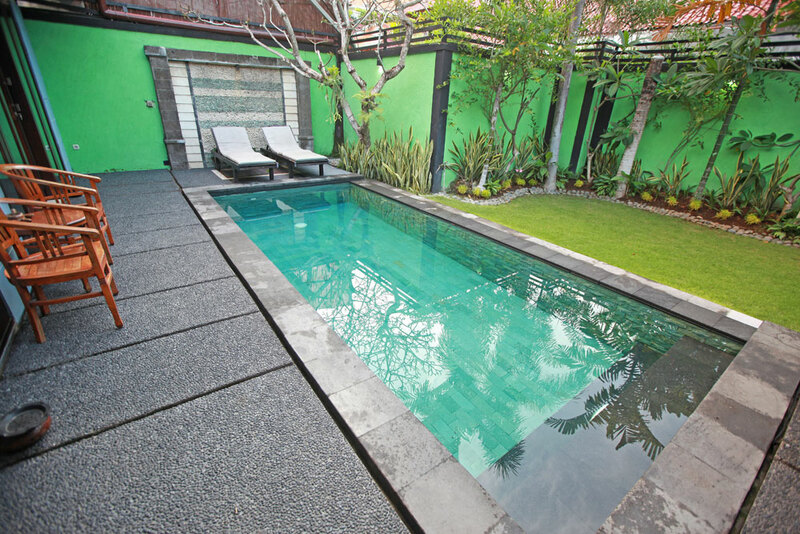 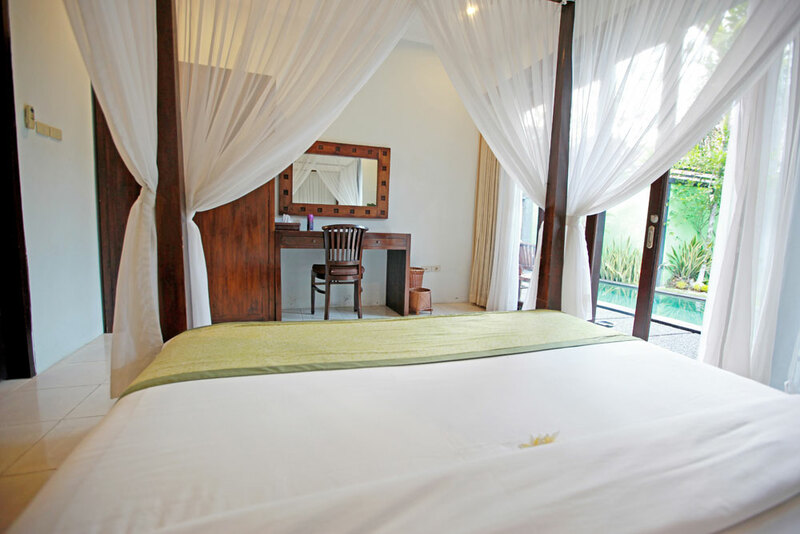 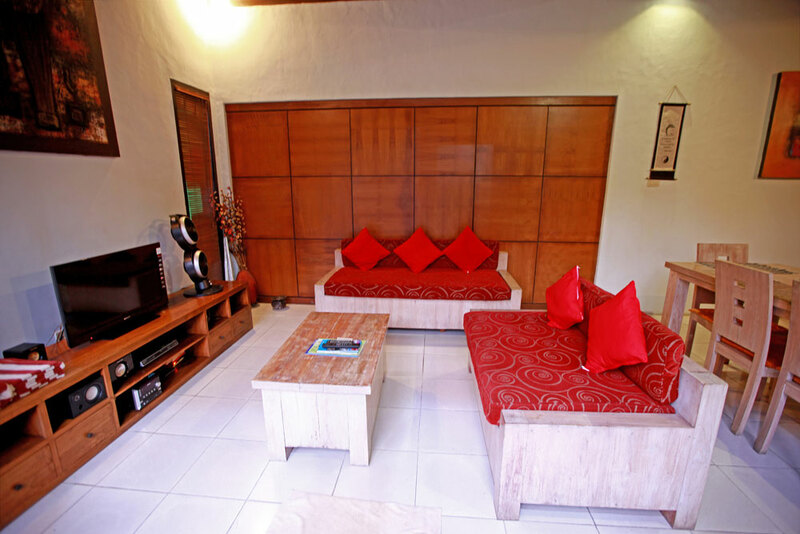 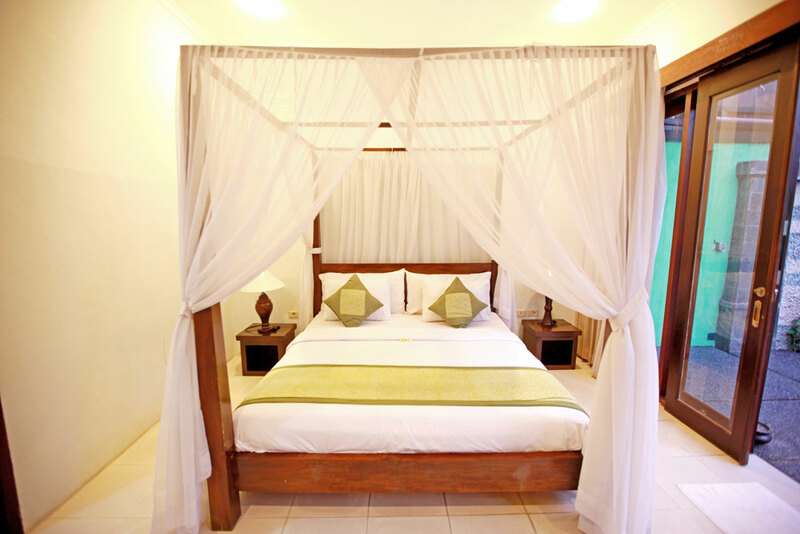 Villa Abimanyu 1 consists of two bedrooms that overlook the pool and garden. 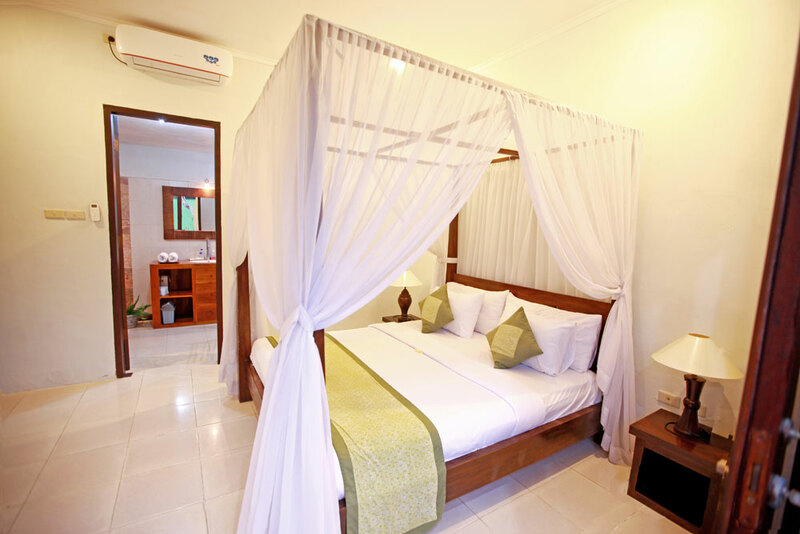 All have comfy beds, air-conditioner, white clean ceramic floor, bed-side tables with lamps, wardrobe with table, chair and dressing mirror. 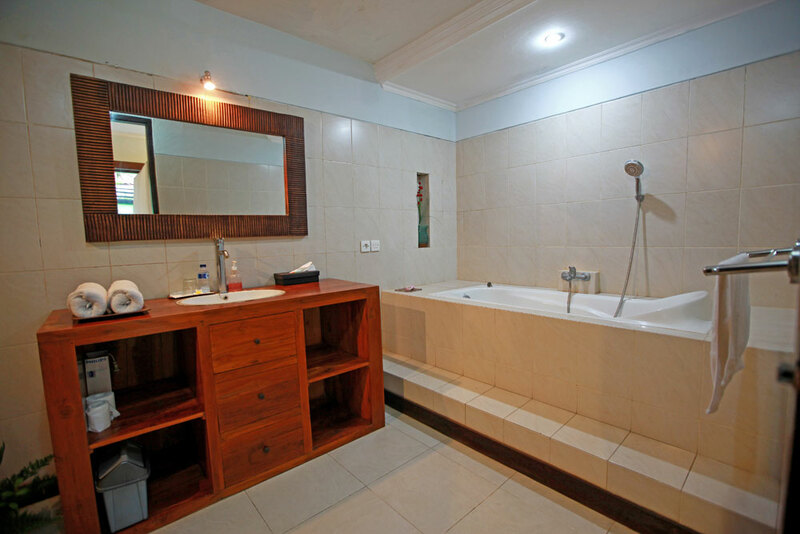 The en-suite bathrooms have a rain shower with cold & hot water running, bath-tubs and wash basin with mirror. 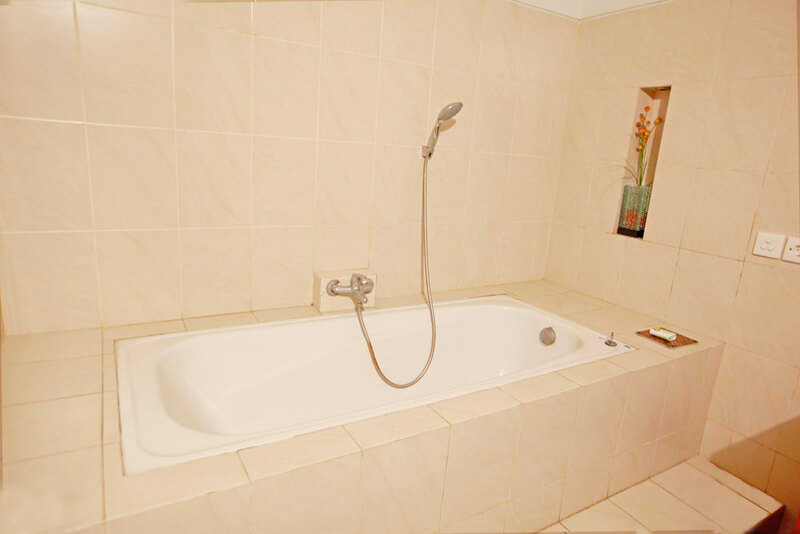 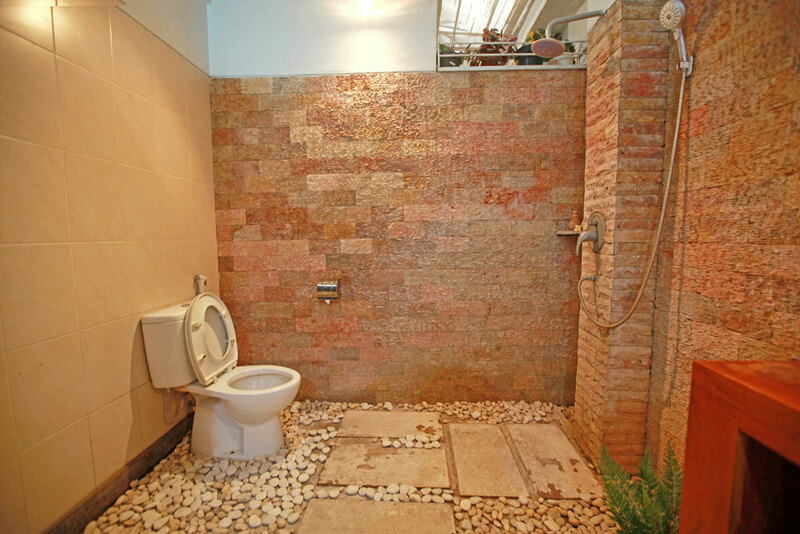 En-suite bathrooms with hot & cold rain shower, bath-tubs, wash basin and dressing mirror.